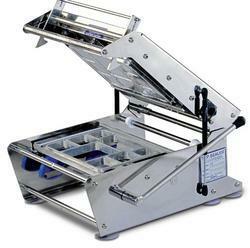 We are offering Sealing Machine for Packaging Industry to our clients. 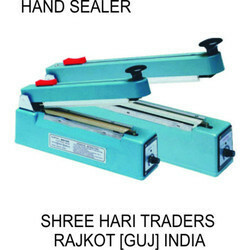 We are devoted towards offering the qualitative range of Sealing Machine, as per client’s precise need and requirements. Mengoras, Coil, Tomatocatchup, Dhosanukhiru, Anycream. - Size (Sealing length): 8", 12", 16"20"
Aimed at prosperous growth in this domain, we are instrumental in offering an excellent quality range of Continuous Sealing Machine.